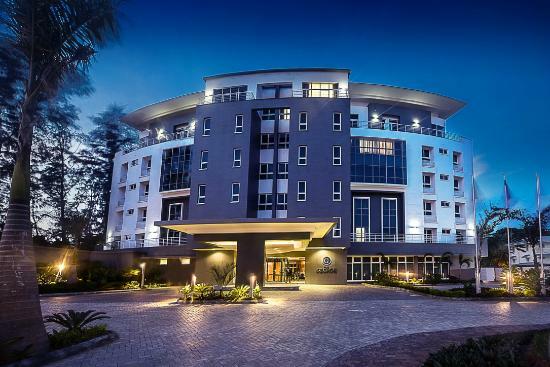 The George Ikoyi is the leading hotel when it comes to delivering personalised hospitality services in Lagos. 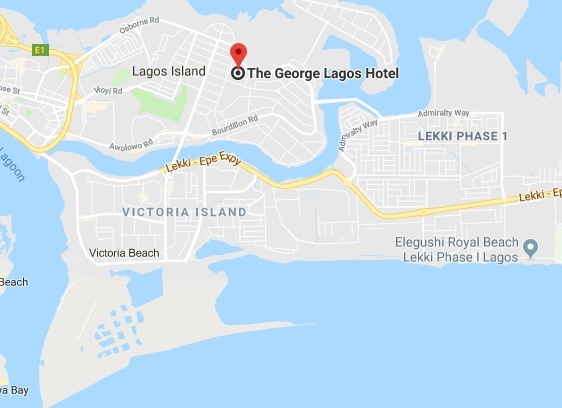 Stay in this 4-star hotel in Ikoyi!The George, Ikoyi is a luxurious 4-star boutique hotel situated in 30, Lugard Avenue, Ikoyi, Lagos. Having discerning business travelers in mind, the hotel offers modern facilities with a touch of Renaissance glamour and services needed for a comfortable stay. Free wireless internet access is available all through the premises. 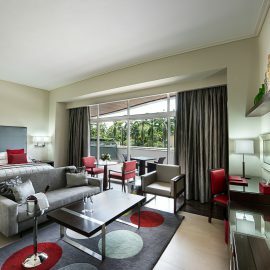 The hotel houses 61 individually designed rooms and suites, the spacious rooms are bedecked with modern interior decor and designed with an adjoining sitting area which is fitted with plush sofas. Each room has a full length window, an air conditioner, a TV with satellite reception, a work table, a private balcony and an en-suite bathroom. Complimentary breakfast is served daily. Local and continental meals are ordered at the onsite restaurant, while the bar serves champagne, alcoholic and non-alcoholic drinks. Guests enjoy swimming session at the outdoor pool which is fitted with recliner seats and workout session at the well equipped fitness centre. The George offers event facilities where relatively larger occasions such as banquets, parties and ceremonies can be hosted conveniently and conference rooms well-fitted to adequately suit gatherings such as meetings and seminars. Car hire and airport shuttle services are offered to guests at a surcharge.